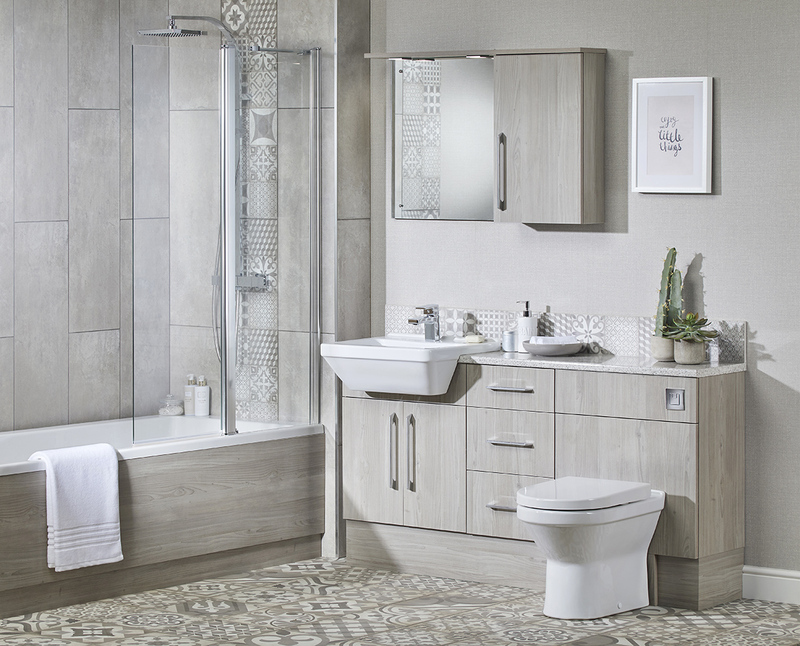 Maximising storage in a bathroom is essential, especially in a small bathroom. It may come as a surprise, but the average British bathroom is roughly the same size as a king-sized bed. That means that the available space in which to plan is approximately 1700 x 2000mm. In this limited space, most people will require a basin, toilet and bath or shower. Realistically there isn’t room for both a separate shower enclosure and bath. Many of us opt to have a shower over the bath in a small bathroom. 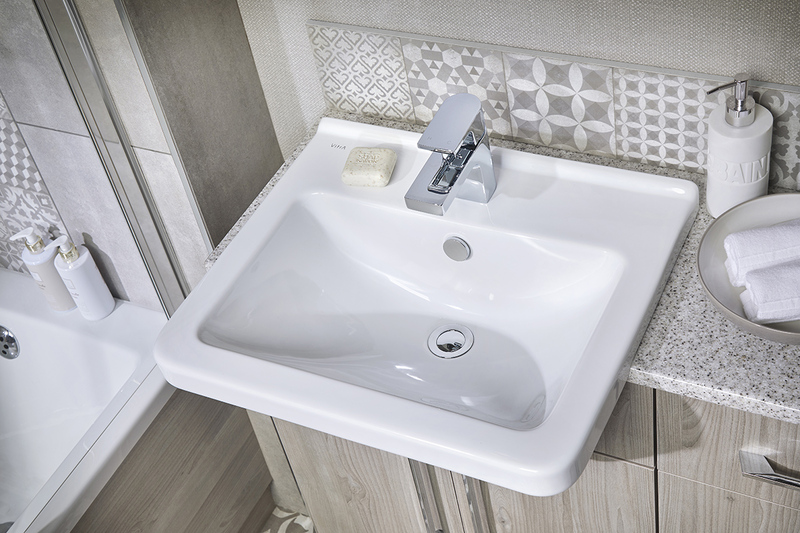 If you’re lucky enough to have more space in which to plan, you might be able to have a slightly wider basin unit or an additional base unit. Twin basins or a freestanding bath will simply not fit unless you’re prepared to loose a bit of space in an adjacent room. Choosing light colours will help the room feel more spacious. 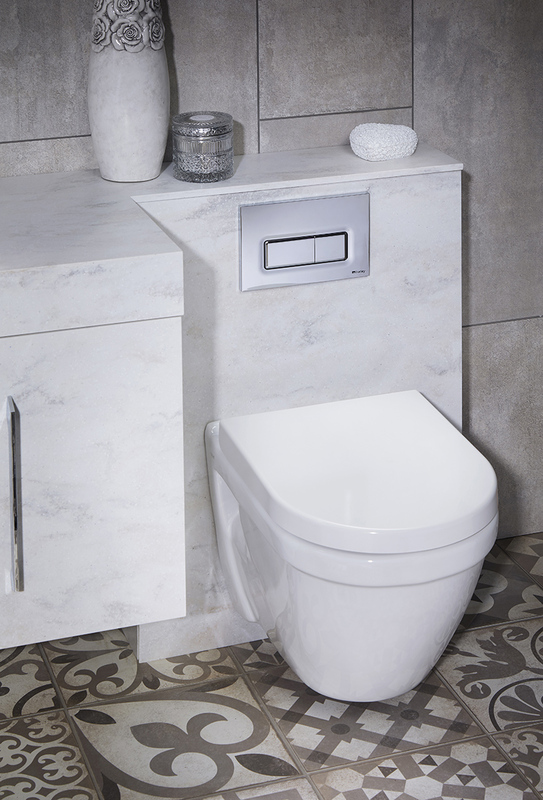 Crisp white sanitaryware can look stunning in conjunction with simply styled doors and sleek chrome handles. A light woodgrain such as Vanity Hall’s Grey Nordic provides a perfect neutral backdrop. Accessorising is easily achievable and easy on the eye! The vertical woodgrain on the units will make the room appear taller and a co-ordinating Grey Nordic bath panel will add to the illusion that the room is wider, since the grain direction runs horizontally. The basin is often the first choice for many. 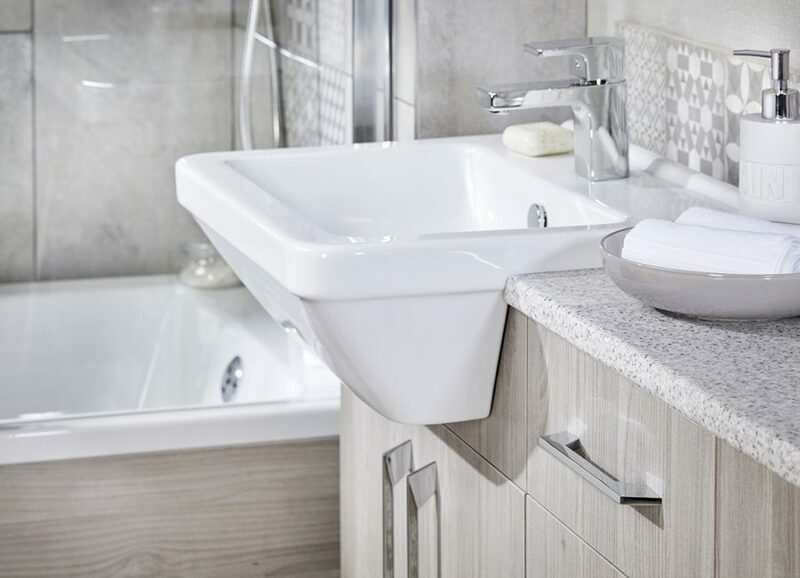 A semi-recessed basin, designed to work with bathroom furniture, it the best option in a small bathroom. It offers around the same water capacity as a more conventional basin, but is designed to sit within the fitted furniture worktop. When deciding whether to cite your toilet or basin next to your bath, consider where the window is located above. If possible, position your toilet under the window so that you can then have a mirror or mirror cabinet directly above your basin. Obviously a mirror cabinet will give you more storage, but it’s also a great location to house cosmetics and even medicines, perfect for keeping out of reach from small children. 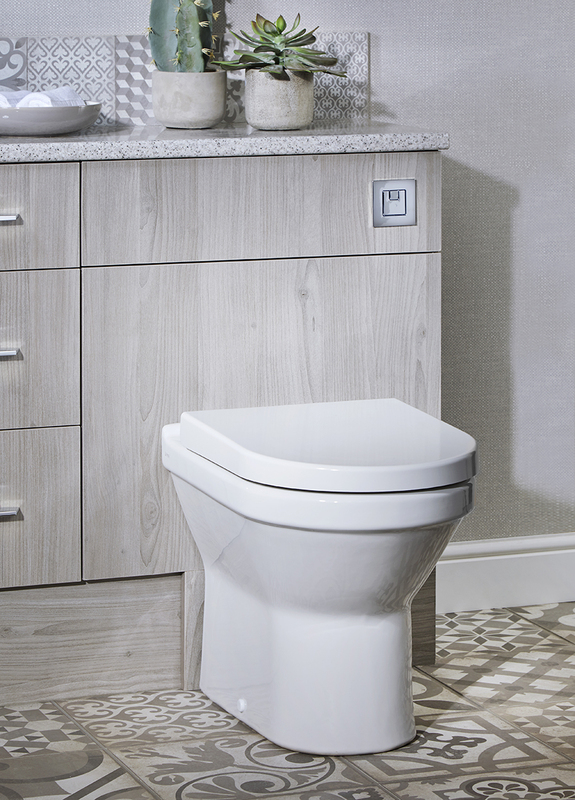 When it comes to the toilet unit that you choose, decide whether you want a floor standing or wall mounted toilet and pick a compatible unit. 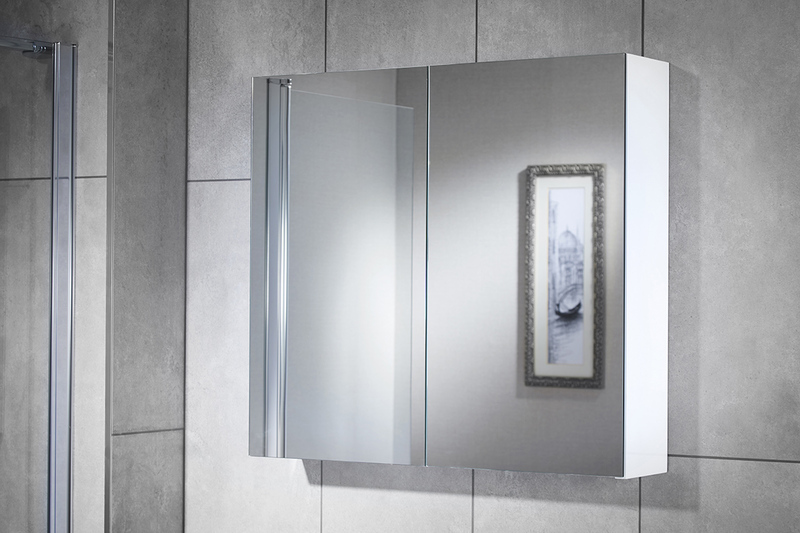 Wall hung units will add to the feeling of spaciousness, so the more that you can fit into your bathroom, the better. Above all else, it’s important to remember that a small bathroom doesn’t have to be boring. Many of our showrooms offer a design service, so that you can visualize how your new bathroom will look before you commit to a purchase. Their knowledge is impartial, and many of our retailers have been designing bathrooms for many, many years. 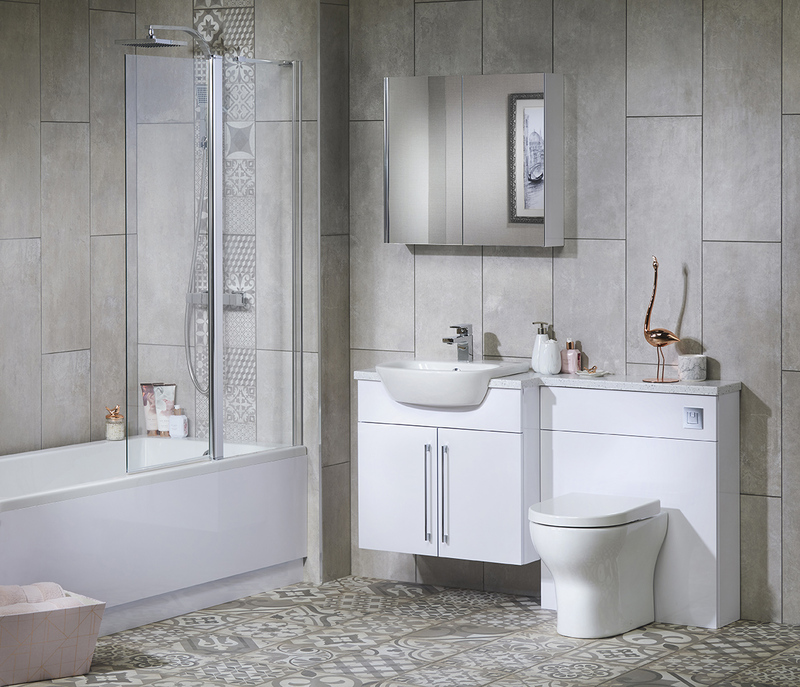 Their clever planning and expertise will ensure you to achieve the bathroom of your dreams, no matter how small!